Rev. Robert MacKenzie has retired from St. Patrick's Roman Catholic church in Cupar, Saskatchewan but still lives in the church's rectory. Father Robert MacKenzie, 86, faces 16 allegations of physical and sexual abuse spanning four decades. He was a teacher at Fort Augustus Abbey in the Highlands before he moved to Canada in 1988. Canada’s Minister of Justice has now approved an extradition request from Scotland’s Crown Office. Father MacKenzie has denied the allegations and, his lawyers say, is appealing the extradition. If the appeal is unsuccessful, he will return to Scotland to face allegations of physical and sexual abuse over decades between the 1950s and 1980s. His legal team says he has been charged with a total of 16 offences following allegations made by 16 people. His Canadian lawyer Alan McIntyre said: “Father Mackenzie denies any inappropriate sexual contact, or any sexual contact, with any of the complainants. “In the material he shared with the Minister of Justice, he pointed out that he had administered appropriate corporal punishment consistent with what others administered and received at the time. 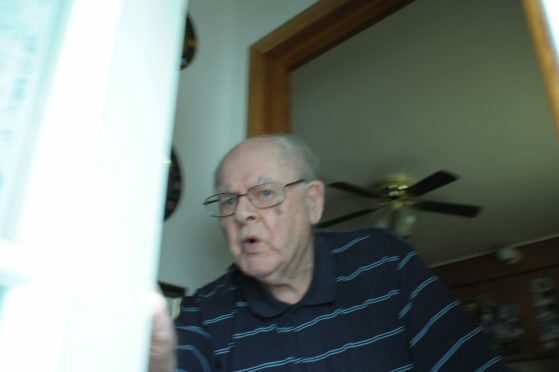 Mr McIntyre said the retired priest, who walks with a cane, was in “poor health”. He said: “He has very serious mobility issues. His lower back has been deteriorating for years and his ability to travel is very limited. “Secondly, he has no resources in Scotland – that’s to say, money, relatives or anything else. “From a Canadian perspective, I am a little confounded. Some of these charges are over 60 years old. “It seems to me Scotland might have more to do in the circumstances than to be pursuing someone of this age, who doesn’t have a criminal record and who has had a blemish-free existence in Canada. “He has denied under oath these charges and it doesn’t seem to have any effect. Father MacKenzie is originally from Edinburgh and was educated in Rome. He was a teacher and house-master at Fort Augustus Abbey, which was run by Benedictine monks. Closing in 1993, the Abbey is among schools being investigated by the long-running Scottish Child Abuse Inquiry. A police investigation was sparked in 2013 after allegations emerged of physical and sexual abuse at the school. Father MacKenzie moved to Canada in 1988, and worked in Saskatchewan, which borders the US in west central Canada. He served in the towns of Cupar, Dysart and Lipton and retired in 2002, though he continued to conduct mass. The Sunday Post first revealed two years ago the bid to extradite Father MacKenzie to Scotland. Last Monday, the Archdiocese of Regina told its priests in an email that Canada’s Minister of Justice had authorised the extradition of Father MacKenzie. The archdiocese said it was informed two years ago criminal proceedings were under way in Scotland against Father MacKenzie, and that he was moved from a rectory to a retirement home “where his movement and activities were further restricted”. A year ago, after more revelations, “his faculties to minister as a priest were suspended”. The archdiocese said there were no allegations made against MacKenzie in the communities he served there. A spokesman said: “While we understand and respect the legal presumption of innocence, our primary duty in every case of suspected abuse is the protection and care of the alleged victims. “We are keenly aware of the devastating and life-long impact of clergy sexual abuse on victims, and the grief and intense pain experienced by those near them who are also personally affected by abuse. The Crown Office began the legal process to get Father MacKenzie to appear before a Scottish court when it applied for an extradition order two years ago. At his Canadian home at the time, he told The Sunday Post there was “absolutely no truth in the allegations”. He denied all the allegation and said he had been cleared of any wrongdoing “long ago” and it had “all been dealt with”. Sunday Post: Hello, Father MacKenzie? Can I talk to you? Hello? I’ve been sent to ask you if you are aware that there are accusations of abuse from your time at Fort Augustus in Scotland. Father Robert MacKenzie:That’s nothing. That’s all finished. SP: Can you tell me what happened? RM: No. Where are you from anyway? SP: I’ve been sent from The Sunday Post, sir. SP: In Scotland. And they wanted to ask if there is any comment. RM: No, it’s all been dealt with. There’s absolutely no truth in the allegations. SP: How? Has your end been dealt with? RM: Yes. The police in Scotland have dealt with it and there is nothing to those accusations. SP: We’ve been told that there’s a move to extradite you back to Scotland. SP: So, no comment? Do you deny these allegations? RM: Of course I do. SP: Can you tell me anything? SP: Would you like to talk about it?